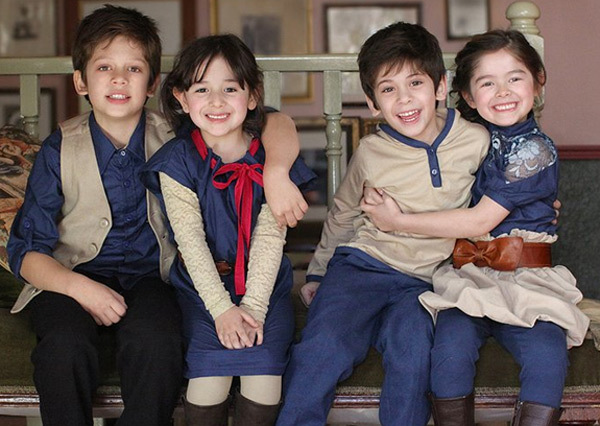 We love bringing you new fashion finds for kids. And we love uncovering new designers too. So we’re over-the-moon excited to bring you an exclusive first look at the debut collection from new luxe label 21 Shaftesbury. 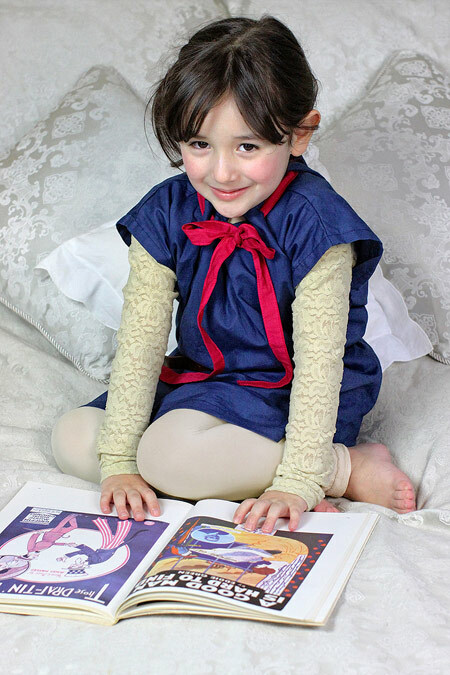 21 Shaftesbury is a new boutique childrenswear label from young Melbourne designer Becca Alessi. 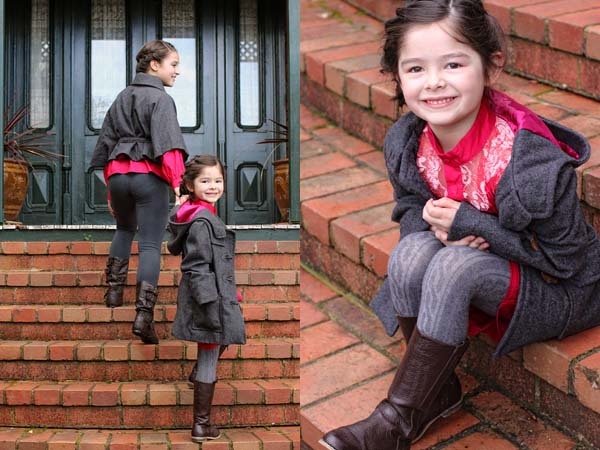 All lace, leggings and leather, mixed in with the softest woolens, cotton twills and jerseys, these are some of the most delightful special occasion clothes we’ve seen. 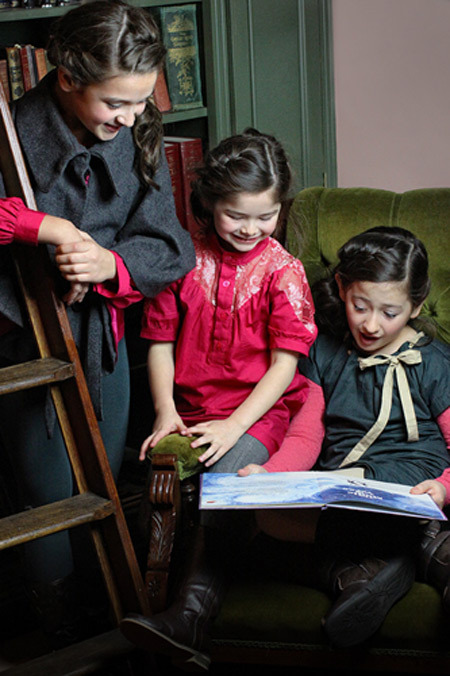 If you think the clothes are gorgeous, just wait til you hear the story behind the label. 21 Shaftesbury is the address of the designer’s grandmother’s house – the place where she whiled away so many wonderful afternoons as a child, and the heart of every family celebration, where brothers and sisters, aunts and uncles, and cousins galore would gather dressed, of course, in their Sunday best. No surprise then that Sunday Best is the inspiration and theme for Becca’s debut collection. The dark colour palette of navies and greys, with bold splashes of deep rose for the girls and bone for boys, is winter urban chic at its most spectacular. 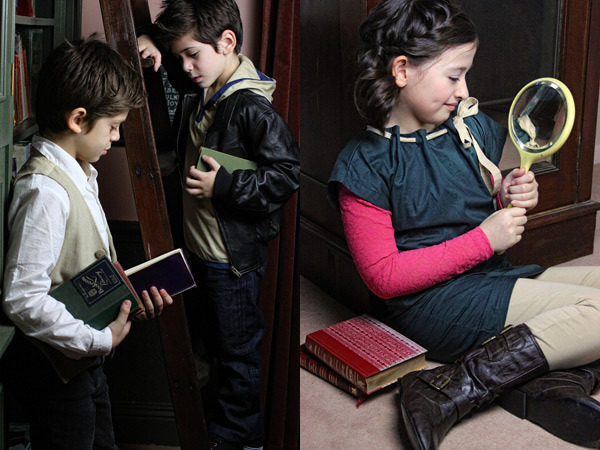 We adore how Becca has named each of her timeless designs for a character or place from a Jane Austen novel, creating classic children’s fashion from the pages of classic literature. 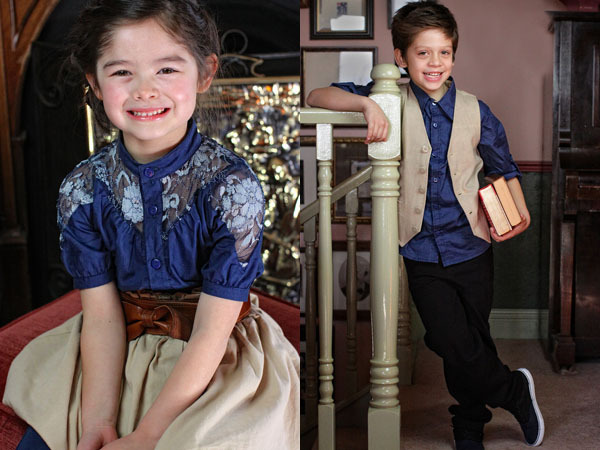 So there’s the Bronte blouse and dress with its exquisite lace detailing, the Linton waistcoat with its debonair buttons, the Eyre skirt, the Charlotte dress with a superb ribbon neckline… the list goes on. Prices start at $39 for leggings and range up to $265 for a hand-cut, hand-sewn leather jacket. Dresses cost between $69 and $89. The label will be stocked this season at select boutiques around Melbourne, including one of my own favourites Milk Bottle, or find it online at 21 Shaftesbury.